Cape Charles is in Northhampton County on Virginia's Eastern Shore. This well planned town is the largest in the county. It offers a commercial center with shops, restaurants, antiques, museum, harbor, marinas, boat ramp, sport fishing, and more. 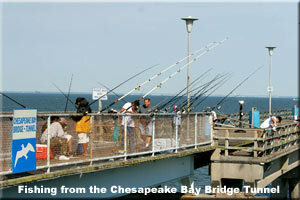 Points of interest include the Chesapeake Bay Bridge Tunnel, a 17.6 mile complex which spans the mouth of Chesapeake Bay, the Eastern Shore National Wildlife Refuge and Kiptopeke State Park.